A movie’s poster is often one of the biggest selling points outside of the trailer. For this reason, studios release movie posters with a less-than-true representation of what we’re about to see. This is especially true with small-budget films that they feel they can market to certain groups. Comprised here are a list of 5 really blatant attempts to get you to watch a movie that isn’t what’s on the cover. 1. Kramer vs. Kramer- This is a bitter movie about a mom (Meryl Streep) hopping town to deal with her life, leaving dad (Dustin Hoffman) with young kid. The poster makes it seem like that family movie where the stakes are too low for the themes to mean anything, but this one hits hard. When mom’s gone and dad’s bonding with the son he forgot he had, sentiment makes its way into the script’s veins. In the bitter beginning and the grueling court cases though, the poster becomes a relic of something that died a long time ago. It’s a terrific movie with terrific actors, but its charm only goes so far. 2. Happy-Go-Lucky- Indie rom-com this is not. Mike Leigh’s criminally underrated character study of a stubbornly optimistic woman (Sally Hawkins) challenged at every turn is uproarious, charming, and insightful. She does not exactly fall in love, and the guy giving her the piggy-back ride on the front is not the same guy who does it in the movie. By any means don’t let it deter you from seeing this great movie, it’s not the run-of-the-mill indie romance it’s sold as. 3. In the Bedroom- What looks to be a romantic melodrama about two couples is ultimately a family’s coping with a surprising murder. One of the people on the cover doesn’t even make it past the halfway point, but as we’ve seen with the other covers, the hint of sentimentality and romance seems to sell these movies that have no way to appeal to any target audience. A dangerous move that can put off the viewer once they see the film is different, but it can also pay off. 4. The King of Comedy- Though Martin Scorsese and De Niro are the men behind and in front of the curtains in this movie, the poster seems to offer a light, fun and easy going comedy to match the paramount of late night comedy shows. But be warned, Scorsese doesn’t do light, and we should have known better. The King of Comedy is indeed very dark, very private and very twisted, even if there are some funny parts. It’s Taxi Driver, it’s Coens, it’s Scorsese’s and it’s great. 5. 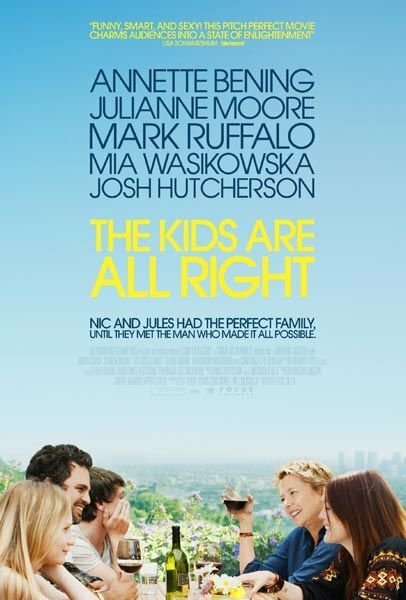 The Kids Are All Right- Those going into this film thinking they are going to get a bright, cheery and trendy adult comedy are going to be disappointed. It definitely is not any Woody Allen movie either, no matter how much this cover looks like a scene from Vicky Cristina Barcelona. Though it is definitely hilarious and optimistic at times, The Kids Are All Right digs into deep crevices, serving up shockingly real and raw family drama that you can’t peal your eyes from. This entry was posted in Features and tagged Deceptive DVD Covers, Film Was Not What I Thought, Happy Go Lucky, In the Bedroom, Kramer vs. Kramer, Misleading Movie Posters, The Kids Will Be All Right, The King of Comedy by matterspamer. Bookmark the permalink. Great top 5. I haven’t looked at these posters in this way before. You’re definitely right about the Kramer one – happy families…I don’t think so. Although Happy Go Lucky and King of Comedy are a bit misleading, they do convey the sentiments of the films in question. That said, anyone looking for De Niro doing stand-up for 90s mins will be sorely disappointed. am with Dan on this one. what a cracking top five. you know youve stumbled on to a good list when you think ‘why the feck didnt i do that?’ ill tell you why, cos you guys rock. Yeah it was a lot of fun, the trouble is finding the posters. We know they’re out there, but when we sat down to think of them we couldn’t think of any. It’s definitely something we’ll look into continuing though. Indeed these posters are very misleading. 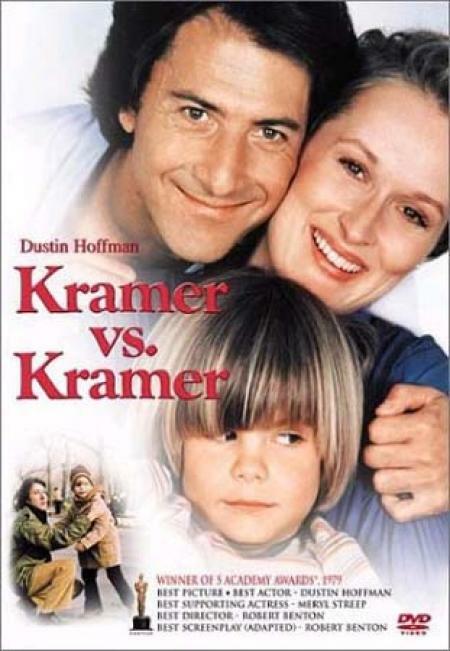 Kramer vs. Kramer is a perfect choice, cause I thought it was a family film too, and then I found out what it really was, and was shocked. Thanks Posters! I like the write-up on Kramer vs. Kramer — the mom just ditches them! Very funny and true. I disagree on In the Bedroom as the look on Wilkinson’s face and Spacek looking down on him does hint towards something gone awry. That, to me, is a perfect film. 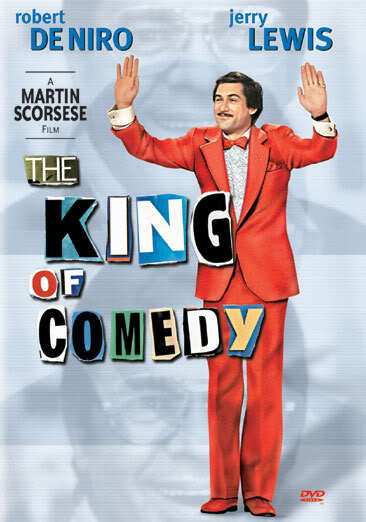 And yes, King of Comedy could have had a much more effective poster….this looks lazy. This was intended to represent either the poster or the DVD cover. The title says “cover,” but we forgot to specify that in the intro paragraph. I’ve seen that original Kramer poster as well, and it does seem more honest than the DVD one for sure.